I love 100% pure Kona coffee from Hawaii. (Do not fall for Kona blends with just small amounts of Kona.) For a long time, it was my “house” coffee, and it drew friends from near and far, seriously. I had friends who would ask if they could stop by for a cup of coffee. Starting at $27 per pound and going way way up, that can get really expensive. Add shipping costs and it’s crazy. You don’t want to buy too much in bulk either (to save on shipping costs) because then it won’t be as fresh. Why ruin such great coffee? I will still be buying 100% pure Kona for special occasions but for my daily cup, I needed something more affordable. I do love the Ambrosia blend from Philz coffee. They’re in San Francisco, and it is a cheaper option than Kona, both in coffee and shipping, but I still felt like it would be expensive to ship on a weekly or bi-weekly basis. The reasonable price of $12.95 per pound is nearly doubled when you add the $9.95 shipping. I started looking around and sampling coffee that I could buy locally, hoping I would find something that would start my day off right, yet fit within my budget. I finally landed on the Bali Blue Moon Blend at The Roasting Plant. (I think it was about $12 per pound.) I was so ecstatic, and for about 2 months, I went there weekly for my refill. One day I arrived and Bali Blue Moon was gone. It was a seasonal special. I tried a few more of their blends but I couldn’t find one that gave me that same inner smile. I was back on my hunt, looking for yet another replacement. This time, I started to lose hope. I was getting cranky too, without a good cup each morning. By this time in my story line, we had moved to Long Island City, and now I pass through Grand Central a lot. I started trying several blends at Oren’s Daily Roast (in Grand Central Market) but most were too acidic for me. Their least acidic blend didn’t have the right flavor. I finally landed on their Brazil blend which was satisfactory, but felt a little weak. I settled on that for 2 weeks until I started talking to a staff member of Oren’s. I told her my problem, and she suggested making my own blend. Why didn’t I think of that? Since I find most dark roasts too acidic, I used the Brazil as my base (a good flavor and aroma) and added a little bit of a darker roast to it, like their Italian Roast or Beowolf Blend. I now have my own blend, the Jessica blend, which is 75% Brazil and 25% of Italian or Beowolf. I guess my very long winded story is just to say, try making your own blend, the [insert your name here] blend. It will take a little experimenting to balance it the way you want, but a staff member at a good coffee store should be able to help you. Think about how strong you want it, how much acidity, how much kick, and what kind of flavor and aroma. Depending on where you live, you may not have the option or convenience of trying 20 stores to find a blend you like. Now, you can make your own. Let me know what you come up with. posted by jessica	at 10:14 AM	Filed under Drinks. You can follow any responses to this entry through the RSS 2.0 feed. Both comments and pings are currently closed. I’m a dark roast kinda girl and I use 3/4 French-Italian and 1/4 espresso from Zabar’s. Great blog! Subscribing. You’ve now inspired me to give this a bit of a go. Did you find it much more expensive creating your own blend? I can imagine you’d need to buy large amounts of a whole range of coffee types, then blending them meaning you end up with huge amounts of coffee, which doesn’t age so well. I probably need to investigate the situation in my area a bit first, although most coffee shops here are good, none are amazing (Sydney suburbs)! Thanks Tom, it’s not more expensive because I didn’t buy a ton at the same time. I experimented little by little over a few weeks. At most, I buy 1 1/2 pounds whole beans at a time. Most of the coffee stores in NY allow you to buy in 1/4 pound increments, sometimes less. Barbara, I like Illy and it’s prob my favorite of the widely available, more commercial brands. I should have mentioned but forgot. Still, I prefer buying from coffee stores rather than say supermarkets for two reasons. Sometimes the supermarkets only sell ground and I like whole beans to grind myself. 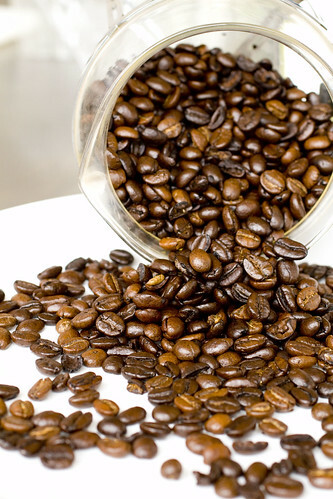 I grind each time I make coffee – it tastes fresher. The other reason is I assume (can’t be 100% sure) that the coffee stores have fresher beans and rotate in/out faster than supermarkets. My husband does the bean buying and he likes to mix it up. He has a good “coffee” nose and goes crazy for Peets. Have you thought about roasting your own? 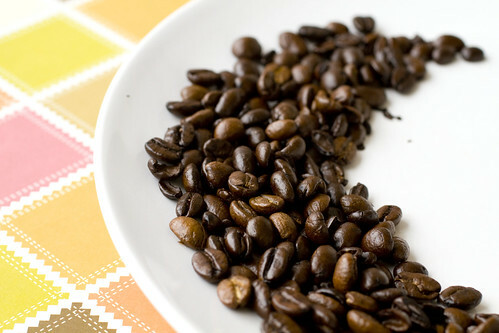 Green coffee is inexpensive and you can roast it with a used $10 popcorn popper picked up in a thrift store. The freshness alone is worth it, plus you’ll save a lot of money. Have you been to the Puerto Rico Importing Co.? Sadly, I don’t drink coffee (upsets my stomach), but that would be my heaven if I ever were a caffeine addict. What’s your favorite way to drink coffee? I used to go for flavored, but then found it to be too fake. I live out in Hawaii and can definitely mail it cheaper… let me know. Denise, I haven’t gone that far yet. I don’t even know where to buy green coffee, though I’m assuming you can on-line. I’m going to keep an eye out at stores and see if anyone sells. Thanks! Kim, I went to Puerto Rico Importing Co. way way back but don’t really remember it so I’ll have to try it again. 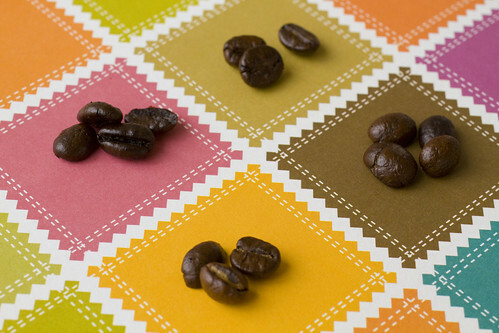 I don’t like flavored coffees, just good coffee. I like a very little bit of sweetener and heavy cream. Jai, I haven’t bought beans at whole foods but I bought a cup to go once and didn’t like it too much. I’ll try some of the beans though…. Jessie, how much can you get 100% pure Kona for? Do you know how much it costs to ship it? Thanks for offering!! So Sweet! I believe it’s spelled Porto Rico Imports- not Pueto Rico. 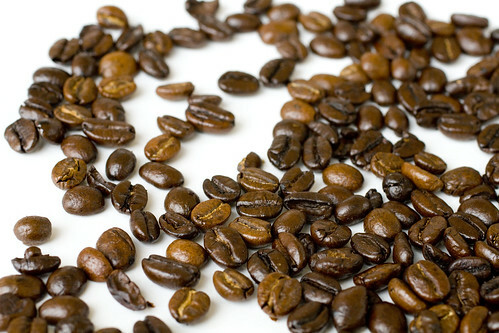 I’ve used them for over 20 years and find their beans to be very fresh–They rost them in Brooklyn–I like half dark roast Kenya and half Sumatra. Arturo, thanks for clarifying. This will make searching it easier for everyone. We gotta setup a time for Kopi Luwak! Le, yes! What are you up to this weekend? We just found your blog at the office and LOVE it. Subscribing in 3,2,1….